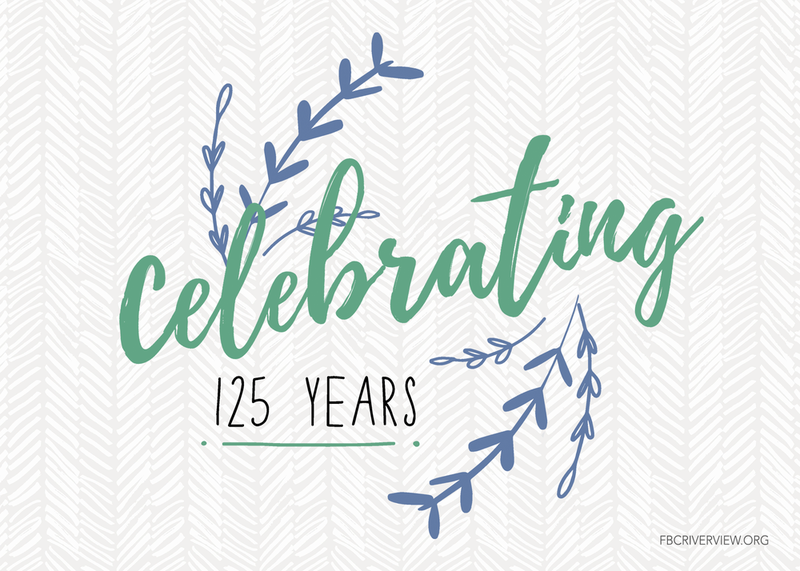 The 125 years of ministry at First Riverview is a testimony of God's creative presence and will to shape His people for influencing others to become followers of Christ! It is the kind of unstoppable work that not only unfolds within the faith community but extends to the uttermost part of the earth. We are thankful for our founding pastor and members who, through vision and sacrifice, provided us with a legacy that will never be forgotten. Today, we can rejoice that God has included us in His redemptive plan for all people. It is God's desire that we partner with Him to continue to make great things happen! First Riverview is bursting with determination, creativity, relevance and an unstoppable mission that will guide us into a future that calls for people who will live and serve in a manner that matters to God! We believe that God is up to something amazing and what's ours to do is find our life mission within the something God is up to and partner with God to make great things happen in our world. Join us on Saturday, September 8 at 5:00pm on the church campus for a southern BBQ to kick off the celebration with good food, music, reminiscing about the history of our church and dreaming about what God will be doing in the next 125 years! Contact Tisha Hudson for more information. Come celebrate our historical past, life-changing present and our exciting future ahead with our two-hour special Sunday Service on Sunday, September 9 beginning at 10:00am in our Worship Center! You'll also hear about the exciting changes coming to our church campus that will equip us to make our next 125 years even more impactful! Contact Tisha Hudson for more information. Over the course of 125 years, thousands have formed relationships with Jesus, hundreds have been commissioned as pastors, deacons and missionaries. Some of those individuals who have been members of First Riverview and other influential people have sent in some inspiring videos for us to enjoy! Do you know of anyone who you think would love to come to our anniversary celebration? Use the following link to download a special invitation that you can send to them or post on social media to spread the word about this monumental celebration of the impact that First Riverview has made locally and globally!